As a pediatrician, I’m regularly asked for the best developmental tools for kids. 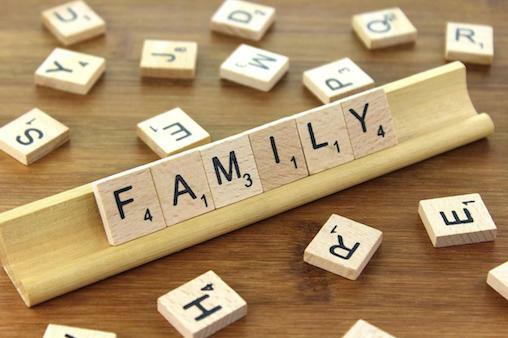 Family games are one of my favorite ways to stretch mental abilities and to enjoy time together as a family. Games that are too easy and predictable are boring. Those that are too difficult are frustrating. And just the right stretch is a lot of fun. This is a magical card game where you get to make potions, cast spells, mix ingredients and use fairy tale powers. Be prepared to use basic math and probability skills and toss around toadstools, eye of newt, or moon dust. Your goal is to capture the most powerful hand of cards to make your own wonderful wizardly potion. For 2-4 players. Recommended age: 8+. Best for kids between 7-12 and fun for adults to play with kids. Available here. In this board game, you really get to learn how people you think you know well actually see the world. You’re given categories (like “things that have straps”) and have to come up with three things that you think will match up with the other players’ answers. Your goal is to see “eye to eye” and correctly anticipate what others will say. For 3-6 players. Recommended age: 10+. Great for kids and adults to play together. Available here. A Mensa award winner, this cooperative game takes you on a journey to capture four sacred treasures from a forbidden island paradise. You race together to find everything and escape before the island sinks underwater. It’s fun to discuss problem-solving strategies as a team, working against the rising waters. For 2-4 players. Recommended age: 10+, Great for kids and adults to play together. Available here. The premise of this board game is that a disease has broken out. Each player has a specialty (like Scientist or Quarantine Specialist), and everyone must use their skills in a cooperative way to stop the spread and cure the disease before it kills everybody. With the common goal of saving humanity, it can’t help but bring players closer together. For 2-4 players. Recommended age: 13+. Great for adults, too. Available here. This is a fast-playing card game where you try to grab the highest scoring combination of sushi dishes before anyone else does. You collect maki rolls, dip your nigiri in wasabi, and strategically create sets of sashimi, all while making sure to leave room for dessert. The person with the most points at the end is the sushi master. For 2-5 players. Recommended age: 8+. Great for adults, too. Available here. In this game, your goal is to build a civilization. You start out in the Stone Age and work your way up to modern times, moving through technological and cultural advancements with your hand of cards. If your civilization can survive and develop, and you can fend off other civilizations, you could be the winning innovator. For 2-4 players. Recommended age: 12+. Great for adults, too. Available here. This is a cooperative game based on excellent communication. The players are potentially dangerous “absent-minded fireworks manufacturers”. By working together they can stop a disaster from happening and create a fantastic (and safe) pyrotechnic show. The fun twist of this game is each player can see everyone’s cards except their own. For 2-5 players. Recommended age 8+. Great for adults, too. Available here. Cribbage is an old English game, first played sometime around the 17th century. It’s played with cards and scored on a wooden board. The rules get pretty complex, but it’s an entrancing game once you get into it. You basically play and group cards in combinations that give you points, and the strategies can start simple and get deliciously intricate. For 2-4 players. Recommended age: 6+. Great for adults, too. Available here.